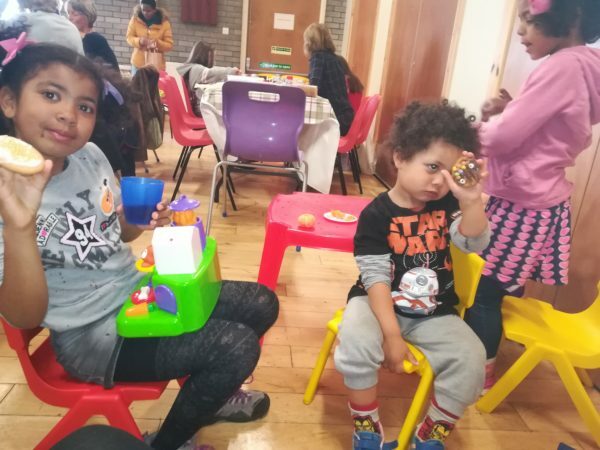 Community reporter Sindy Santos has sent us a great article about Wester Hailes Baptist Church’s monthly Drop In Cafe, which provides a free hot lunch, clothing and children’s activities on the last Saturday of every month. The next one will take place this Saturday, 27 October 2018. We were there last month when the Baptist Church monthly drop-in was supporting MacMillan Cancer Research’s Coffee morning. The drop-in offers a prayer space and a listening ear and welcomes everyone from the community. It was my friend Andrea who told me about it back in spring time and I said, why not? 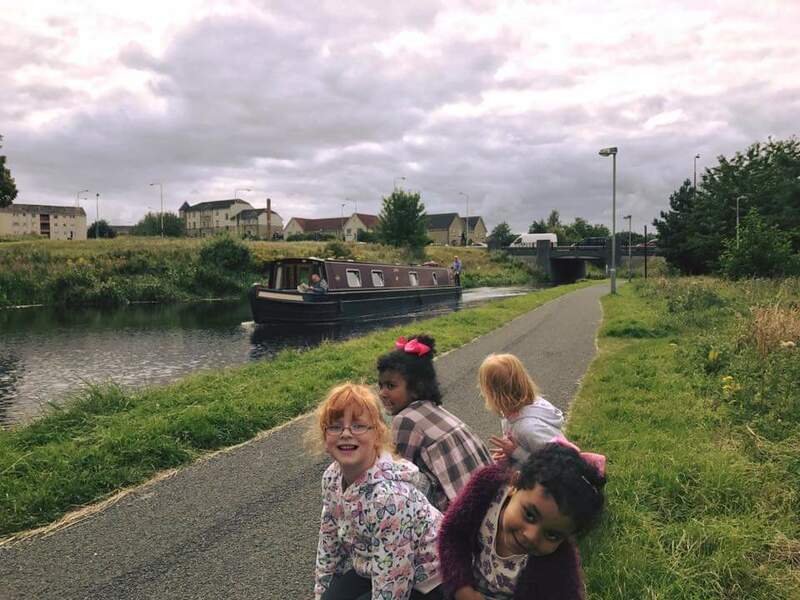 What better way to enjoy a walk by the Canal with her two girls same age as mines. Let’s go on an adventure! we told them. When we got there, a lot was going on in a fairly small space. It was definitely well organised. At first glance there were these nicely set tables with biscuits, cakes and drinks. 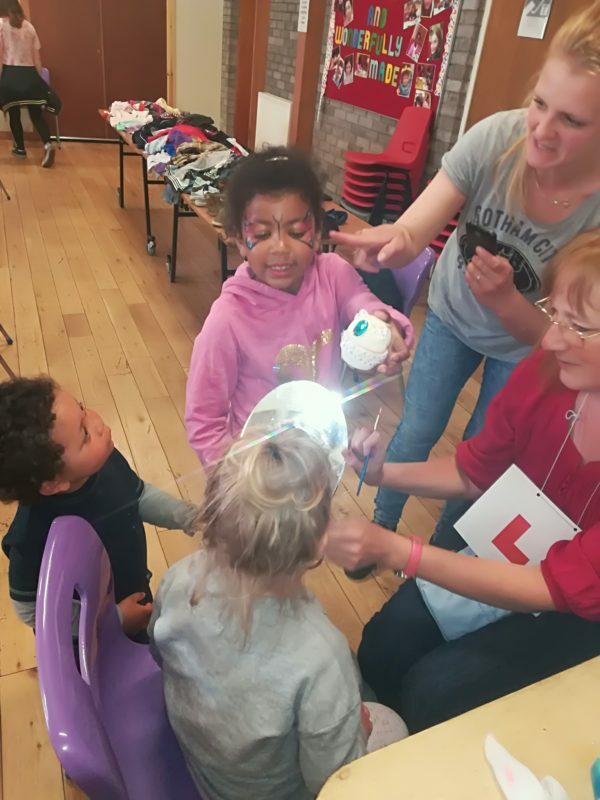 On one side, a row of tables full of neatly folded clothes, houseware and soft toys was available for anyone to help themselves and at the very back, arts and crafts for all ages and a special treat for children, face painting! You can make your own cuppa, sit and relax. However I would say for the majority who attend, the hot meal is the cherry on the cake. As if a la carte, friendly members of the staff take orders on how you want your meal. The most popular is the Big Baked Potato with fresh salad on the side and all sort of fillings. There are also hot dogs or bacon rolls that my fussy eaters would love to have. Not vegetables involved for once, Mum! It was served so quickly, in a matter of minutes and there was so much going on I didn’t even know what to do first. You see the kids giggling around, the locals having a chat and a laugh, you realise how much effort the organisers had put into it for the best of the community. We had to leave early that day because of another event to attend to, but I promised them and myself to go back again. Another time I had a wee chat with Pastor Daniel. I was curious to know the differences between the Baptist Church and other religions, especially the Christian ones for example, as I was brought up Catholic. Apparently it is the different way of baptism itself.Unlike the priesthood in Catholicism, church leaders are permitted to marry also. Historically different denominations of Christianity grew out of slightly different emphasis on doctrine, but in essence all Christians hold to the central truth of Jesus Christ as the God’s Son. In order not to get my children confused I tell them when we go to Mass it is their chance to thank God for their own achievements and make wishes, so when it’s time to pray they tend to make a list to Santa! At least they get the idea. One thing I feel comfortable with while my kids play around is sitting and chatting away with Carol who is in charge of the Sunday school and children’s activities. I find her a wise person after having served Murrayburn Nursery as a Head Teacher for many years. What better person to talk about children’s development, learning and education?. And that’s what it’s all about, no matter what your own beliefs, as long as you have a good spirit and sense of community. The Drop In Cafe started two years ago initiated by the actively engaged member Sandra Wilson as an additional outreach to the many activities that already take part within the church. 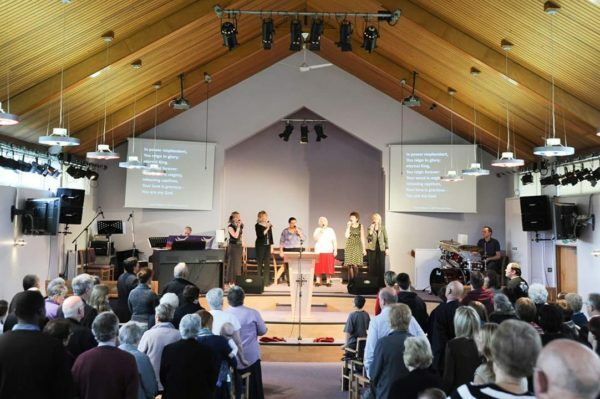 The aim of the Cafe was to serve the local community as a demonstration of God’s love, to meet people at their point of need, and to build relationships with the community. Alternate Mondays 9.15am – 11.00am. For young people wanting to know more about the Christian Faith. Prayer Time 10.15 – 10.45am. Morning Worship 11.00-12.30pm with CRECHE For under 3s during morning service and SUNDAY SCHOOL Children aged 3-12. Games, crafts and Bible teaching every Sunday Morning during the service. Monday afternoons 2.00 – 2.30pm. Carpet bowls, draughts, ludo, pool, scrabble, table tennis, tea or coffee plus lots of goodies! The Drop In Cafe is welcoming everyone to come along this Saturday 27th October 2018, 11.00am – 2.00pm with the following session taking place on Saturday 24 November 2018. For more information please contact the Wester Hailes Baptist Church on 0131 453 4206 or mailwhbc@gmail.com. You can also visit their Facebook here. Thanks Sindy for a very good review of the Drop-In Cafe and the church activities. You are welcome any time! Looking forward to the next cafe this Saturday.